Plot No.69 Gyan Khand-1, Indirapuram Ghaziabad - 201012, U.P. Ever since its inception in 2001, Soho Group has been a leading name in the real estate sector. The company’s vision is to turn dreams into reality by providing great quality construction and on time delivery of their projects to all their customers. Their mission is to target new customer segments and build magnificent structures which are infused with the latest designs and technology. Their most notable residential projects include Soho Villa, Soho Villa 2, Soho Nirmala, Soho Vasundhara, Soho Anupriya and Manorath while Soho Galleria is one of their most notable commercial projects. All of their real estate developments are built meticulously according to international standards of design and architecture. Soho Group is committed to execute projects as per the requirements of the customers to guarantee complete customer satisfaction. 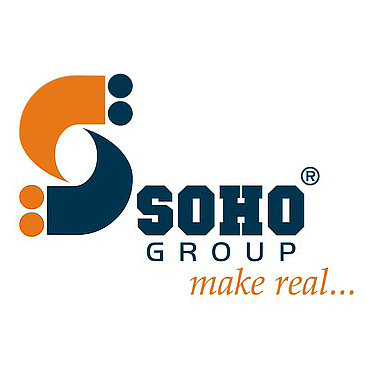 Soho Group has a reputed name in providing quality real estate services for the clients. This has been possible because of their team of expert architects, engineers and industry professionals with years of experience in the real estate industry.